Subhash is a seasoned tax executive with more than 25 years’ experience in leading tax operations of multinational corporations in Canada. His taxation practice includes Canadian, USA and international corporate Income and commodity taxes; Sarbanes Oxley control development; business and personal tax planning; Domestic, International and Ex-pat payroll; property tax; evaluation of possible companies for purchase and tax leader in sale of business; financial systems; project evaluation; policy & procedures development; financial statement preparation and analysis; and internal, external and government audits. His expertise also includes seminar presentations and staff management. 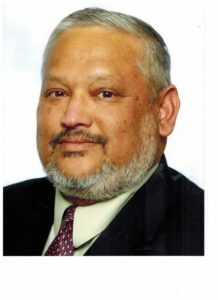 His extensive professional experience was gained working in the retail, chemical, Hi-Tech, manufacturing and Telecommunication industries as well as health care services and government sector. 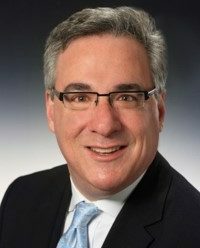 His volunteer leadership roles included President, Tax Executive Institute, Toronto Chapter, Director; Officer Tax Executive Institute, Toronto and Member, Tax Executive Institute, Toronto Chapter. Subhash volunteers in community as a clown for his Shriners’ chapter as well as Air Canada’s Dreams Take Flight, a 100% volunteer powered charity which touches the lives of hundreds of children. Larry Duffield enjoyed nearly 37 years employment with the Federal Government as a Trade Commissioner serving outside of Canada for 25 years at seven postings: Dayton, USA; Bonn, Germany; Islamabad, Pakistan plus Afghanistan; Tokyo, Japan; Detroit, USA; Kyiv, Ukraine; Budapest, Hungary plus Croatia, Slovenia and Bosnia. 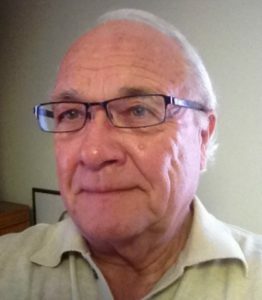 Moving to Windsor in 2004, Larry engaged in volunteering primarily with organizations serving ‘senior’s issues’ and is presently Chair of the Windsor Seniors Advisory Committee and on the Boards of CARP Windsor Essex Chapter, Canterbury and Elder Colleges. He completed full terms this year on the Windsor Centres for Seniors Board and Warden of All Saints Church. Mark Adler is President and Chief Executive Officer of the National Organization on Aging and Longevity (NOAL). NOAL was established to serve as Canada’s thought leader on issues relating to our country’s rapidly changing age distribution. Prior to NOAL, Mark was a Member of Parliament where he served on the Standing Committee on Finance working closely with the Minister of Finance on fiscal policy. In 2003, Mark established the Economic Club of Canada which quickly became Canada’s podium of record. He is a public speaker, author and media commentator. He lives in Toronto with his wife and two teenage children. When Valerie joined OSSCO as Secretary to the Board, Valerie was very surprized at the huge variety of programs OSSCO carries out on behalf of Ontario. Valerie has been an advocate for seniors for several years as Chair of the Council for London Seniors, an Advisory Board member of the Horton Street Seniors Club (1, 400 strong), and a member of the Board of the Boys and Girls Club. Following a 37 year career in health care, Evelyn now volunteers in her community and across the region. Educating seniors on the importance of taking care of their own health so they can live safe and independent lives for as long as they are able in their own home surrounding is very important to her. Evelyn is a retired veteran with the Royal Canadian Air Force. She has over 50 years of volunteer service with the Ontario Hospital Auxiliary and the Catholic Women’s League of Canada. 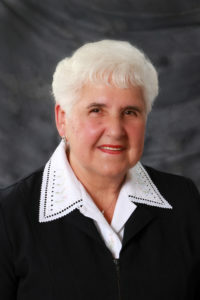 She has served on Hospital and Long Term Care Boards as well as their Foundation Boards. Evelyn’s vast experience includes service on the Mental Health Ontario Board of Directors, Native Housing Board and two Native Learning Committees, one at Sault College and one at Algoma University and for several years she has worked as a preceptor for 3rd year nursing students at Sault College. 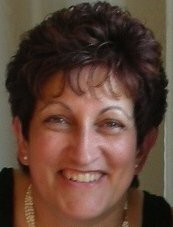 She has been a city appointee to the Accessibility Advisory Committee as well as “Building an Age Friendly Sault Ste. Marie. She is a Charter Member of the Seniors Health Advisory Committee, the Seniors Rights Protection Council and the Sault Rising Stars in Sault Ste. Marie. 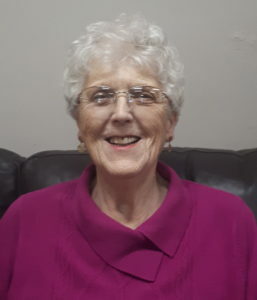 In 2006 Evelyn served a two year term with the Ontario Senior Citizens Organizations and is happy to once again be privileged to serve on this Board since 2017. Claude is a Senior Partner at Key Factor Consulting Ltd., which he incorporated in 1991. Claude is a bilingual business acceleration leader specializing in strategically integrating the organization’s people functions with the overall objectives. Claude holds a BSc. from Concordia University (Montréal) and received his MBA from Pacific Western University (Toronto Campus). Claude is a strong supporter of his community serving as Past Board Member of Rosedale United Church, Chair of the Rosedale United Church Refugee Committee, member of the Anglican United Refugee Alliance, member of the Toronto Southeast Presbytery (UCC) Effective Leadership team, a long-time volunteer with Air Canada Dreams Take Flight and Famous People Players’ Theatre. 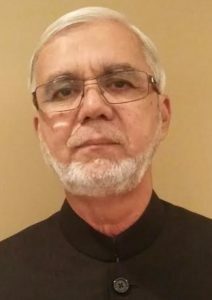 Dr. Ghazy Mujahid has a Masters in Economics from the University of Karachi (Pakistan) and a Doctorate in Economics from the University of Cambridge (UK). He has more than 30 years of experience of working in the area of population and development in Europe, the Middle East, Africa and Asia. He started his career at the Institute for World Economics in Kiel (Germany) and during the 1980s served as an Advisor to the Ministry of Planning of Saudi Arabia. For morethan 20 years, he worked for the United Nations International Labour Organisation and the United Nations Population Fund (UNFPA). He served as Population Advisor to the Governments of Jordan, The Gambia and then Malawi. His last assignment was as UNFPA Advisor on Population Policies and Development for East and Southeast Asia based in Bangkok (Thailand). In recent years, he has been working increasingly in the area of population ageing. He has several publications in the area of population policy, migration and ageing. Dr. Mujahid worked closely with the United Nations Department of Economic and Social Affairs in developing the Guidelines for the National Implementation of the Madrid International Plan of Action on Ageing. Since retiring from the UN, his research and consultancy work have focused increasingly on population ageing and issues relating to seniors. He serves on the Board of the Ontario Coalition of Senior Citizens Organizations (OSSCO) and as an Advisor to the Asia Pacific Population Journal of the United Nations Economic and Social Commission for Asia and the Pacific. Prior to her retirement, Antoinette was the Office/Community Outreach Manager for Judy Sgro, Member of Parliament-Humber River-Black Creek. In addition to assisting constituents with issues related to the Federal Government (CPP, OAS, CTB, CRA) she was the MP’s Liaison with community groups, organizations and businesses within the riding. Antoinette would act as the MP’s representative while attending meetings, events and community functions. She was advisor to constituency staff and would also compose letters to various levels of government, organizations and businesses to help resolve constituents’ issues. Upon retirement Antoinette has embraced her new role as Nana but continues to volunteer with organizations whose focus is on seniors and their needs. This includes being a member of Lumacare’s Client and Family Advisory committee, Lumacare’s Ethics Committee and Delta Family Resource Centre’s Board of Directors. She maintains close contact with other organizations within the HR-BC riding such as 31 Division’s CPLC. 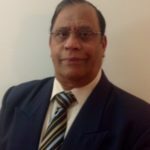 An accomplished marketing and sales professional with over 30 years of sales experience in India, Oman & UAE. Marketing and sales experience in the field of garments and textiles, processed food products, electronics and automotive tires, batteries and lubricants. Over 7 years in electronics and 18 years in tires, batteries and lubricants. Out of this over 12 years in senior management positions with acumen and expertise in market development, sales planning and forecasting, formulating and developing marketing and sales strategies, advertising, distribution networks, achieving sales targets, negotiating and corresponding with overseas Principals by managing and leading a team of sales personnel and other support staff. Have traveled widely on business visits to various countries including Europe, Far East and Africa. OSSCO’s newest Board Director, Megan McElwain is a B.A. graduate of Ryerson University’s Communications program. Megan has worked in production in morning television in New York City and interviewed Oscar-nominated actors who walked the red carpet at the Academy Awards in Los Angeles. In 2010, Megan opened her own full-service advertising and marketing agency, McElwain & Company. She now works in the role of Associate Director, Development, Central Canada with the Fraser Institute. Her years in the broadcast industry helped her to understand the value of building and maintaining relationships as a way to nurture client loyalty. This perspective, along with her trusted knowledge of media communications and national politics are an asset to OSSCO. Through her business experience, Megan has been approached by a number of non-profits, throughout her career, to contribute to good causes. When asked to do something to help out, she does it. “It’s a way to give back,” she explains. “I think all businesses should do it.” She’s contributed creative ideas along with her television production talents to videos on a volunteer basis. She has a specific interest in helping the vulnerable and homeless and has given her time to an organization that fills knapsacks with water bottles, granola bars and socks for the homeless — Project Water/Project Winter Survival. Other volunteer roles include serving as a Vice Chair on the Albany Club’s Events Committee and developing brand/marketing initiatives. Kenneth was born in downtown Toronto in 1950 where he lived until early 1963 when he moved with his family to Bathurst Manor and attended Dufferin Heights Junior High School and William Lyon McKenzie Collegiate Institute graduating in 1969. 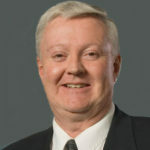 Kenneth attended University of Toronto and University of Detroit to complete his post-graduate education in dentistry and returned to the Toronto area in 1984. He has lived in Toronto and worked in York Region ever since his return. Throughout Kenneth’s professional career, he has always been invested in volunteer activities. Kenneth was on the executive of the York Region Dental Society for 15 years and held positions of Newsletter Chairperson and Chairperson of the Dental Health Month Committee. He was on the executive of the Ontario Society of Endodontists for 5 years as a line officer, eventually holding all Executive Board positions. Since retiring, Kenneth has served on the Executive of the Branson Community Action Group and has been secretary of the York Centre Electoral District Association for 2 years where he gained some expertise in governance issues, in senior issues and in organizing and mounting public campaigns. As OSSCO’s youngest Board of Director’s member, Shesan brings an exciting perspective having previously worked for the organization in the summer of 2016 and 2017. Shesan’s contribution helped boost membership commitments with OSSCO and advance workshop information to the members. With a foundational understanding of how the organization operates on the day to day level, Shesan hopes to pitch methods to improve membership drive and public outreach. 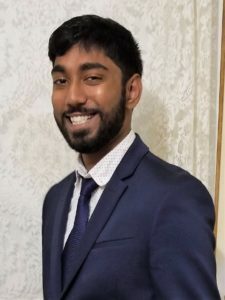 As a new board member with no previous experience at the management level, he hopes his youthful perspective will play a role in addressing issues with the aging population in the upcoming year. Board committees meet on a regular basis, and report on their activities to the full board. Volunteers may apply to participate on Standing Committees of the Board such as the Education and Research Committee, Communications and Membership Committee or Ad Hoc Committee such as Advisory Committee on Public Health. Some Standing Committees such as Human Resources Committee may also include Volunteers, in limited roles. Please contact Elizabeth Macnab, Executive Director at ed@ocsco.ca or call 1-800-265-0779 to inquire about Board Committee opportunities. Most Board meetings are held by teleconference on the second Wednesday of the month. Some meetings also take place at the Ontario Society of Senior Citizens Organizations’ office 345 Wilson Avenue, Suite 404, Toronto, ON M3H 5W1. Please contact us at: 416-785-8570 or 1-800-265-0779 for additional information. Please note: Board meetings take place by teleconference unless otherwise identified. The Annual General Meeting is held between the months of July and August.